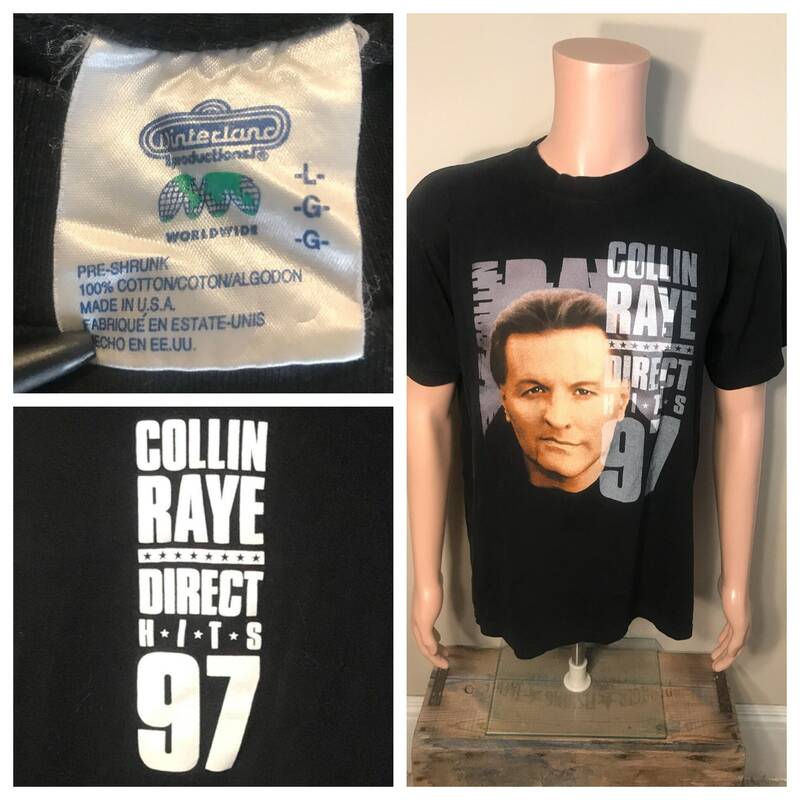 Cool old Collin Raye tour shirt. From 1997. Adult size large. One small pinhole in the shoulder. (see picture).Otherwise shirts in nice vintage shape. Check out pictures to see what you get. item measures 22" armpit to armpit and 28" top of shoulder to bottom.